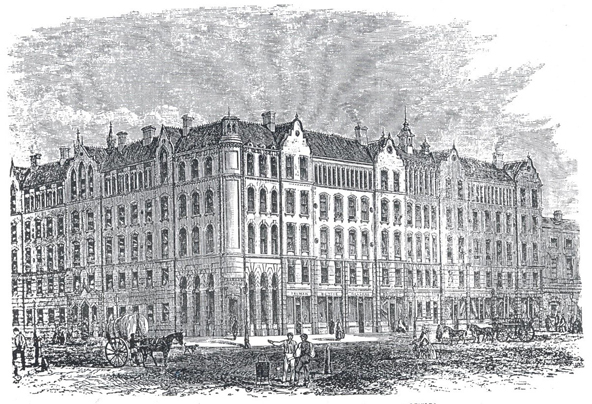 At an academic conference last year on the history of political and social legitimacy of business, Open University Professor Janette Rutterford noted that among the investors she had been researching, “a number were making ‘philanthropic investments.’” She went on to describe a way to invest in the development of social housing—that is, to make a financial return while improving the living conditions of the working poor. It sounded like an example of impact investing, arguably a 21st-century innovation. 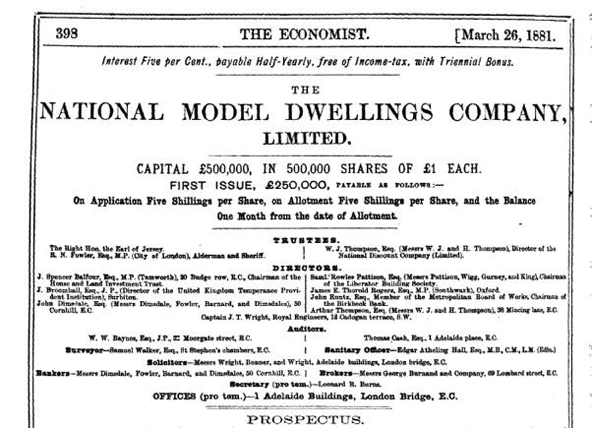 However, she was speaking about model dwellings companies (MDCs), which arose in the UK in the latter half of the 19th century. Were MDCs an early example of impact investing? And could our examination of them inform and support the growth of this “new” investment approach? By the mid-19th century, the industrial revolution was booming in England. 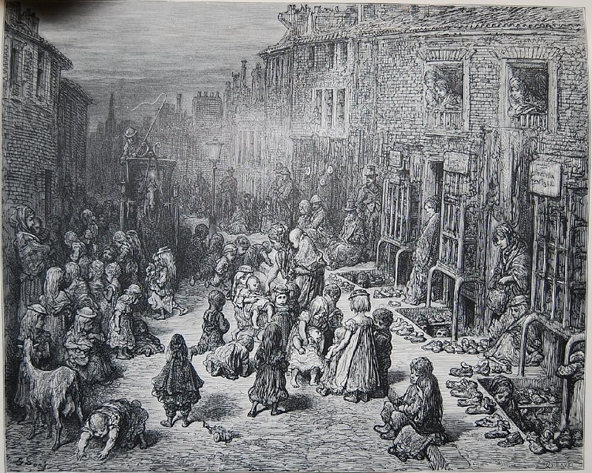 Workers were flocking to the cities, but living conditions were miserable. Overcrowding, disease, and “low morals” (according to the views of the time) were commonplace. Housing, in particular, was hard to find, poor quality, and unaffordable. Friedrich Engels had just written The Condition of the Working Class in England (1844) and, together with Karl Marx, The Communist Manifesto (1848). Their verdict: The industrial revolution’s rampant capitalism and the unfair distribution of wealth had made workers worse off. 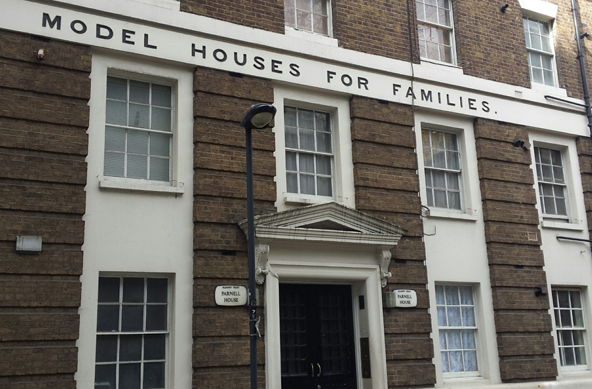 By 1875, about 40 different MDCs in London and elsewhere in the UK had generated tens of thousands of housing units. MDCs achieved this scale, because they worked both as an investment and a social intervention—for a time. In terms of investment, MDCs attracted significant interest from the wealthy—and, according to Rutterford, increasingly from a broader set of investors. By the end of the 19th century, MDCs had raised more than £40 million—the equivalent of about £49 billion (or $62 billion) today. They were based on a smart business model that produced a consistent, guaranteed return backed by predictable rents and the underlying real estate assets. Remarkably, MDCs often produced returns that were competitive with or even exceeded similar investments. Many MDCs guaranteed a return of about 5 percent annually. This was better than most other low-risk vehicles, even the most prevalent investment of the time: UK government-issued consolidated bonds, or “consols,” yielded about 3 percent in the latter part of the 19th century. Thus MDCs began to be known as “five per cent philanthropy,” an expression that perfectly reflected their dual social and financial nature. MDCs were not universally celebrated. They increasingly came under criticism from social advocates for housing only the labour aristocracy and ignoring the needs of the extreme poor. Some critics resented them as “the embodiment of everything that is cheap and nasty.” Engels and Marx would likely have thought of them as mechanisms for reinforcing the inequities of an already flawed system. After about 1875, the movement slowly faded. Researchers mention a number of factors; stiffening building regulations raised costs and complicated design, siting, and construction. MDCs also faced more and more competition from large-scale municipal housing, and similar projects funded partially or completely by philanthropy. All of these changes made it more difficult to keep rents accessible to the “industrious classes” and generate a strong return for investors. The scale of the problem simply outstripped the solution. MDCs continued to spring up into the early- and mid-20th century, but they tended to be smaller, and generally depended on subsidies through philanthropy or other concessionary returns. Some MDC developments still exist and offer a range of housing options at and below-market rates, notably Peabody, which owns and operates more than 29,000 properties housing 80,000 people in London. Today, a new generation of impact investments seeks to generate returns, and tangibly improve a range of social and environmental conditions. Impact investing has grown quickly: The Global Impact Investing Network reported that at least $77 billion was under management globally in 2015—a figure that could grow to $2 trillion by 2025. Clever business models like “five per cent philanthropy” that bring together social missions and markets can also achieve significant scale. Initiatives with a mission to generate strong returns can attract and deliver value to investors while delivering social and environmental impact. Perhaps most importantly, impact investments can’t remain static: Like all other organizations, they will face changing landscapes that can complicate or even ruin their capacity to succeed. Understanding and adapting to a shifting social, regulatory, and competitive market is essential. The case of MDCs suggest that it’s worth looking at other “impact investment-like” examples from the past to help us better understand and sustain today’s new crop. Two that spring to mind are credit unions and co-operatives, but there are undoubtedly others that have arisen at different times and in different contexts, and we should keep our eyes open for them.